Dr Judah Folkman professor of pediatric surgery and cell biology at Children's Hospital in Boston, spent his lifetime studying how transplanted tumors grow in laboratory animals. About one hundred years ago scientists succeeded for the first time to induce with carcinogens, tumors in laboratory animals. Later they transplanted them from animal to animal. These tumor lines were a valuable tool for studying tumor growth and its response to treatment. For decades scientists were puzzled by the fact that treatments devised in the laboratory failed when applied to humans. The riddle was solved in the mid fifties, when the role of transplantation immunity in tumor rejection was discovered. When a tumor is grafted into a mouse its immune system regards it as foreign and destroys it. Spontaneous tumors are not rejected by the immune system. The fate of a transplantable tumor depends on its growth vigor. If it produces cells faster than the immune system destroys, it grows and kills the animal, otherwise it is rejected. Any treatment which retards growth of transplanted tumors in mice is aided by transplantation immunity. The outcome of a treatment depends upon the alliance (synergism) between drug and immune system. In humans the immune system does not reject spontaneous tumors, and this alliance (synergism) does not operate. Many drugs which suppress tumor growth in mice fail to do so in patients. Dr. Folkman was fascinated by the ability of transplanted tumors to mobilize blood vessels, a phenomenon known as angiogenesis. Despite the fact that the mouse immune system regards transplanted tumors as foreigners, the organism supplies them with blood vessels, as it also does to other transplants, like skin. Grafted skin mobilizes not only blood vessels, but nerve fibers as well. Since tumor depends on blood vessels, why not cut out this supply? Dr. Folkman demonstrated that cutting the blood supply destroys the tumor. He and his collaborators searched for the molecule which instructs the organism to supply blood vessels. They were more than lucky since discovering two substances which inhibit blood vessel growth, angiostatin, and endostatin. 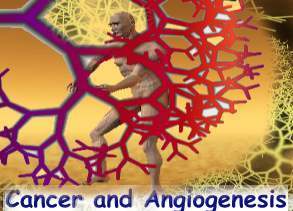 Angiogenesis inhibitors don't work on tumor cells but on normal cells involved in the formation of blood vessels. Animals with transplanted tumors were treated with endostatin. Tumor regressed and animals were cured. Hoping that this treatment may help patients, Dr. Folkman initiated clinical trials to test it, without testing first the effect of the treatment on spontaneous mouse tumors. He was mislead by a fallacy common to the medical sciences, called the context fallacy. Observations made on a phenomenon which was studied in a given context, here tumor in a mouse, are believed to be valid also in a different context, like the human organism. The fallacy implies that in both contexts, treatment will have the same effect. The same therapeutic margin, which is defined as benefit in excess of the damage caused by treatment. In order convince his critics, which distinguish between mouse and human tumors, Dr. Folkman devised the following experiment: He transplanted human tumors into immuno-deficient mice, whose immune system does not reject transplanted tumors. Treatment with endostatin caused these human tumors to shrink in their mouse host. This experiment is yet another attempt to promote a context fallacy. Basic medical sciences breed many context fallacies, which hardly anyone bothers to check for their consistency. They are cozy, convincing, and inconsistent. Now since academia participates in start-up companies, it contributes not only its expertise but context fallacies as well. It turns out that context fallacies 'fail to deliver' and cause losses. In an article "Learning from angiogenesis trial failures- Disappointment collides with optimism" (3), Mignon Fogarty writes:". . . the recent spate of Phase III trial failures has bashed some scientists' hopes for success. According to industry insiders, however, the 12 recent failures involving five trials are symptoms of a young field, of clinical trial design that requires unconventional endpoints, and of improper delivery systems, rather than a condemnation of the general approach." Unfortunately these failures originate in a context fallacy. Obviously an unpopular statement, yet the business world ought to be aware of this possibility. Another context fallacy, the Central Dogma of Molecular biology was exposed recently by Barry Commoner in Harper's Magazine, under the title: "Unraveling the DNA Myth: The Spurious Foundation of Genetic Engineering"(3). In it's narrow context of the lab the Dogma was very fruitful , and its greatest achievement is The Human Genome Project. The fallacy arises when applying it in its simplistic form to the context of a complex organism. The Dogma is simple and linear while the organism non-linear and complex (2). The Dogma ought to be augmented to account for the complexity of the organism. Reading all this you might wonder why would a physician care about context fallacies? Since they suggest treatments which cause unnecessary suffering to patients (2). Like the clinical trials mentioned above, which failed. Consider the needless treatments which patients had to endure. 1. Fighting Cancer with Angiogenesis inhibitors. 3. Fogarty M. Learning from Angiogenesis Trial Failures- Disappointment collides with optimism. 4. Commoner B. "Unraveling the DNA Myth: The Spurious Foundation of Genetic Engineering"